Taylor Auto salvage opened in 1978. 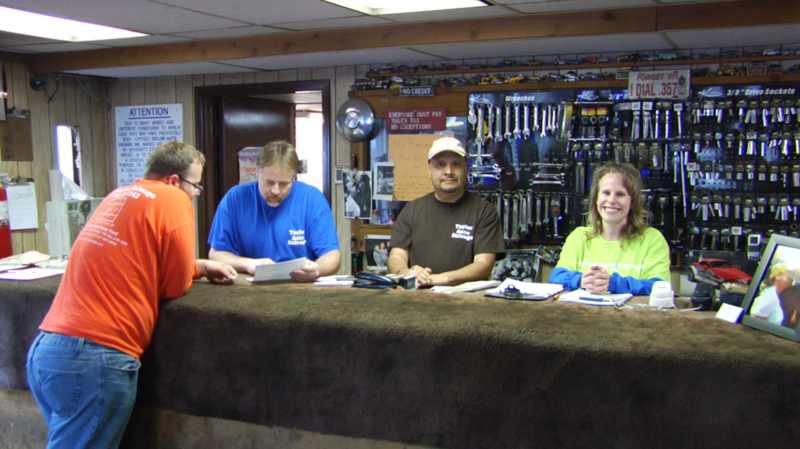 It has been family owned and operated for over 38 years. We feature late model vehicles from 1995 to 2010. For Spanish speaking customers, please ask for Paulo. WANT TO MAKE SOME CASH TODAY? Taylor Auto Salvage is always looking to buy junk vehicles. We can pick them up or you can drive them in for even more cash! Taylor Auto Salvage is a completely self service facility. You are able to browse our 15 acres of cars and trucks to find and remove the parts of your choice. All cars are placed two feet off the ground on stands to aid in removal of parts. There is a selection of new and used tools for sale in the office if you forget a tool you need. OUR PRICES ARE THE LOWEST IN THE DOWNRIVER AREA. Our goal is to provide a wide variety of parts at affordable prices. Taylor Auto Salvage does not charge extra fees like other self service auto salvage yards! No environmental fee, No entry fee, no hidden costs. Returns and a 30 day warranty available with your original receipt. Check out our “Garage Sale” table to get great deals on treasures we find in our cars- clothes, tools, Anti-Freeze, and more! Our friendly Office staff workers Tim, Kim and Paulo share a wealth of knowledge and experience to help you find just what you are looking for. Please sign our safety disclaimer before entering the yard. WE BUY JUNK CARS & CAN ARRANGE FOR TOWING! Call for a quote or to arrange pick up.